Market Rasen Town face a succession of knockout fixtures as they return after their weekend off. 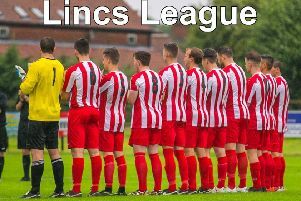 Rasen return on Saturday with a Town Trophy quarter-final at home to East Lincs Combination Division Three rivals GB Kitchens. They will be hoping for a repeat of the 3-1 win over the same opponents last time out in the Junior Challenge Cup. Kick-off at Rase Park is 1.30pm. The following Saturday, Town host Division Three leaders Barnoldby in the Charity Cup quarter-finals. And the run of knockout fixtures, continues with a trip to Holton le Clay in the Junior Challenge Cup last eight on February 9.